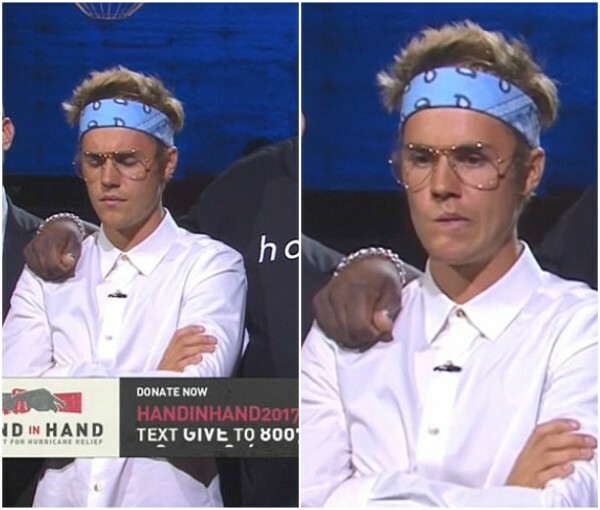 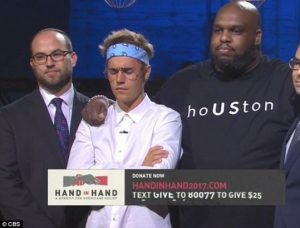 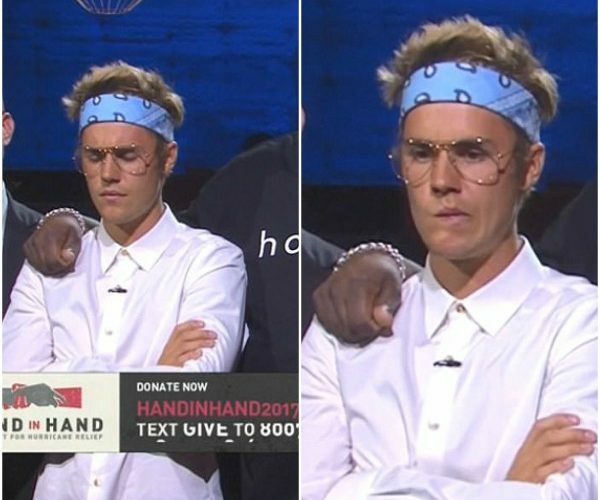 Justin Bieber facilitated led a multi-faith prayer at the Hand In Hand: A Benefit for Hurricane Relief telethon in Los Angeles on Tuesday. 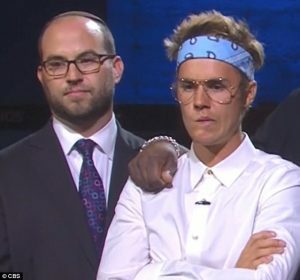 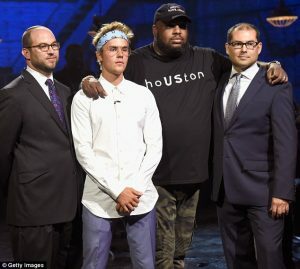 The pop star and dedicated Christian was every inch the young gentleman as he took to the stage with Rabbi Ari Lukas Pastor John Gray and Muslim scholar Jihad Turk. 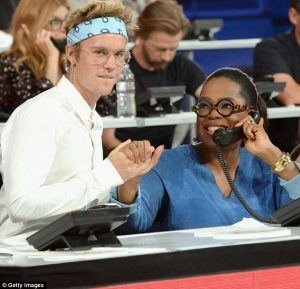 He also manned the phones with Oprah Winfrey and Sofia Vergara, before posing for snaps with George Clooney and Joe Jonas. 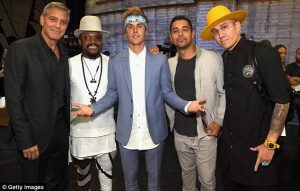 So far the event has raised more than $14.5 million for the victims of Hurricanes Harvey and Irma.